Family owned and operated with over 40 years of proven experience in providing quality, reliable vehicles and friendly dependable service. Traverse St. John's steep and winding roads with confidence. All of our vehicles are well maintained and equipped with 4-Wheel Drive and Automatic Transmissions. We offer a variety vehicles to accommodate parties of all sizes. No party is too large or too small. Choose from Jeep Wranglers, Cherokees and Liberties. 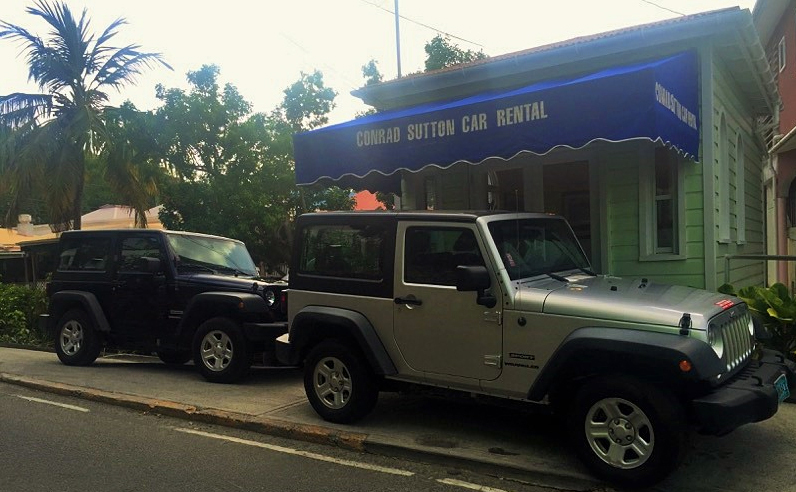 *Parking is permitted for Conrad Sutton Car Rental vehicles only and subject to space availability.